This is a continuation of my series of posts on Utah (First post is here – https://no-where-in-particular.com/2017/01/08/arches-national-park/). 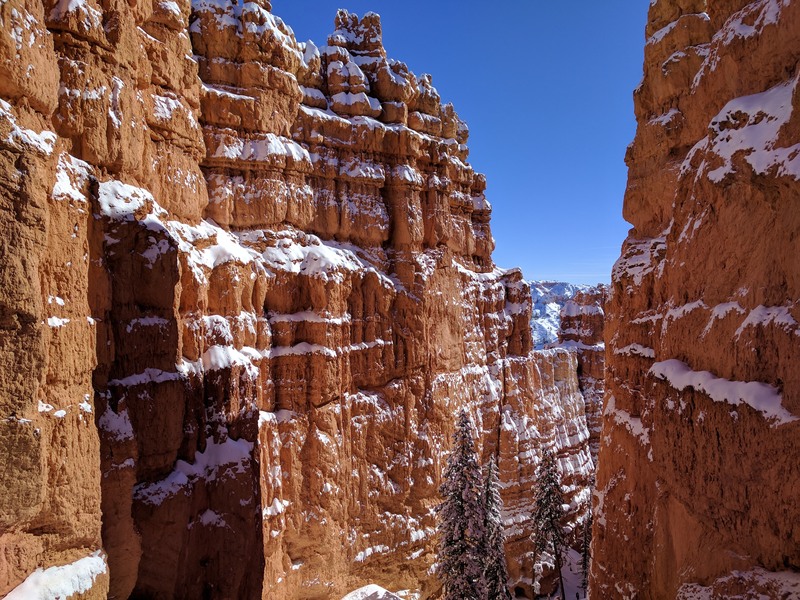 Of all the places I visited in Utah, the prettiest to me is Bryce Canyon national park. 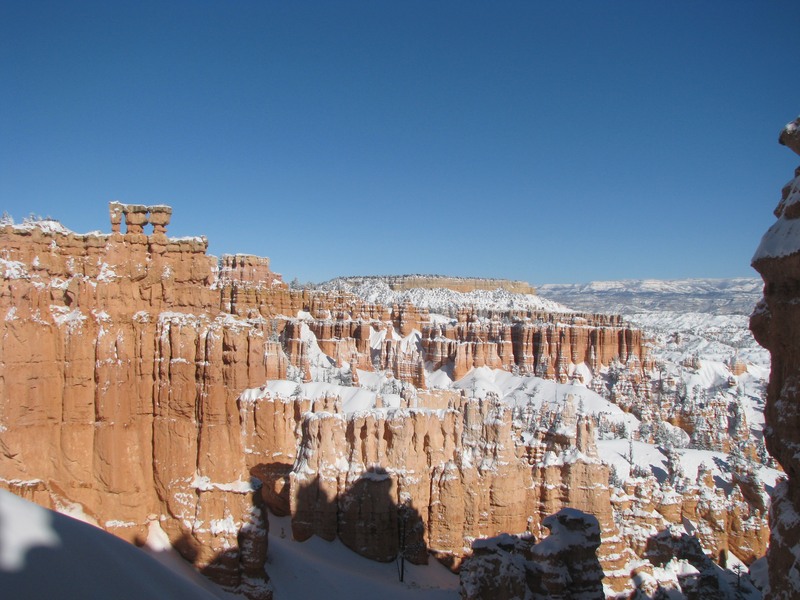 And more so with all the snow covered hoodoos. We had no idea what we were gonna see in the park when we were driving up there. 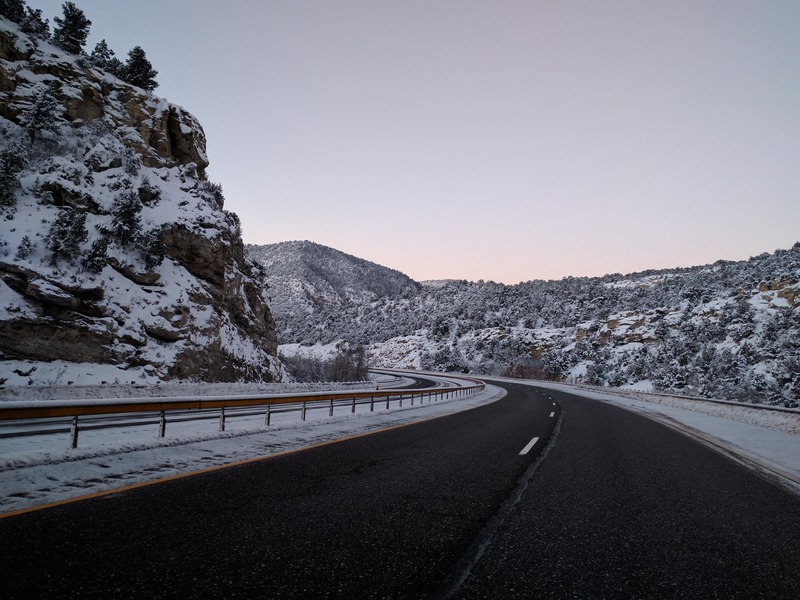 The whole drive from Arches to Bryce canyon was snow-ridden, not to say it wasn’t beautiful. 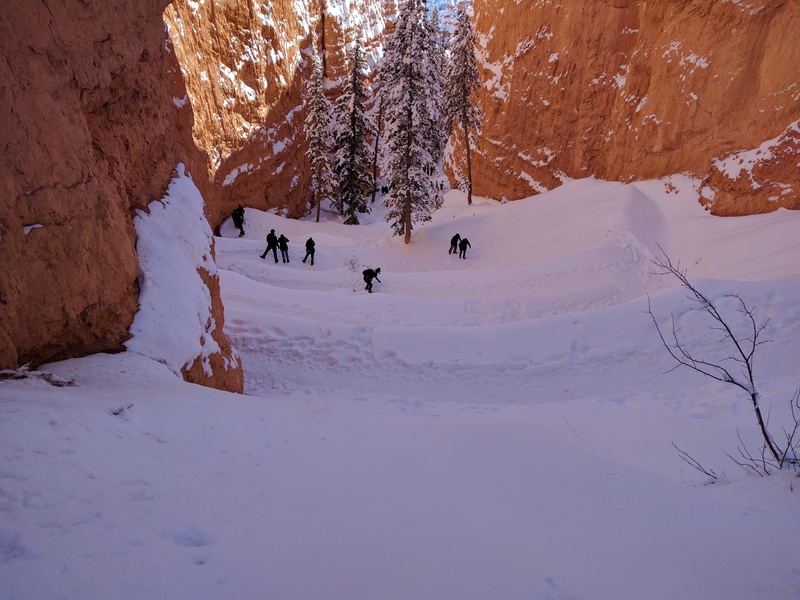 These roads were a beginning to what was in store for us in Bryce. 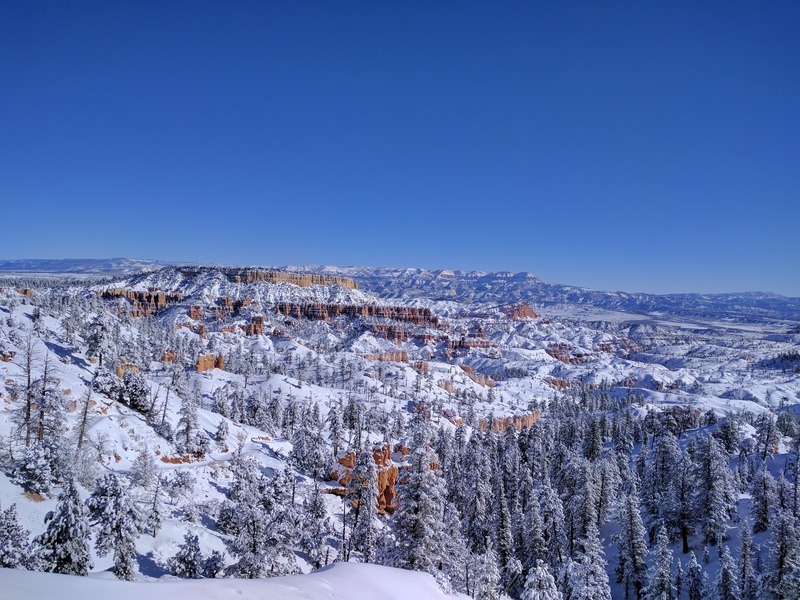 This was our first view of Bryce Canyon and the hoodoos. This has become my most favourite view of mother nature (may be just below Northern Lights in my list, in all honesty :)). 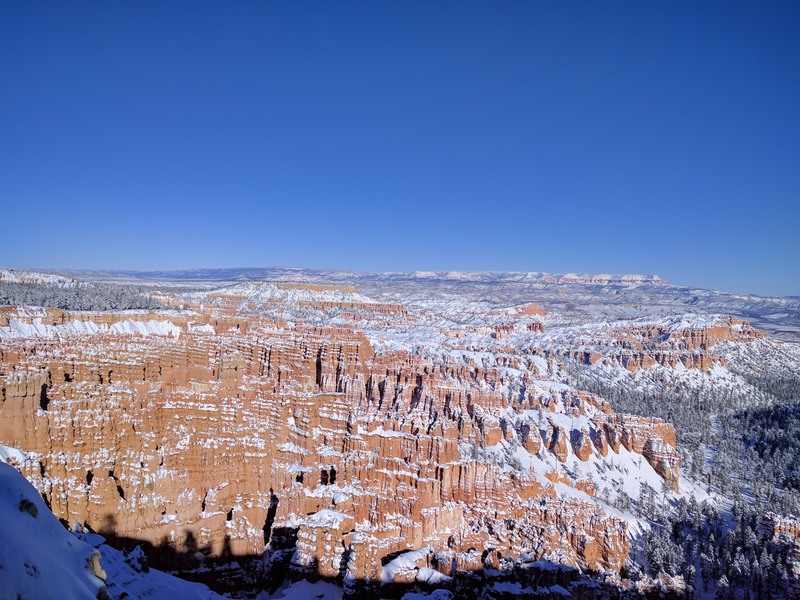 These hoodoos make you smile from every angle. 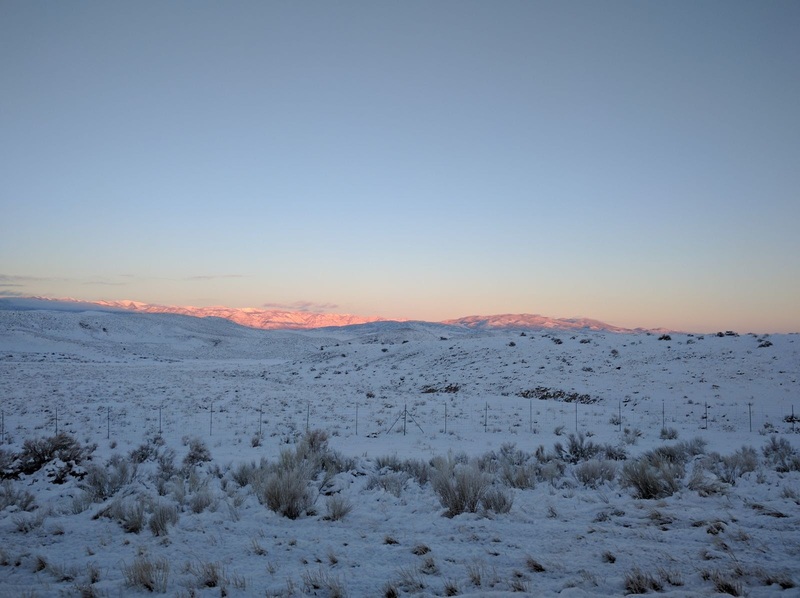 The snow is quite literally, the icing on the cake. From up close, into the canyon. It was a short albeit a little strenuous hike. But with the canyon for company, it didn’t matter how much we were exhausted by the end of it. We couldn’t help but ask a fellow tourist to take a customary couple photo in front of the Canyon. 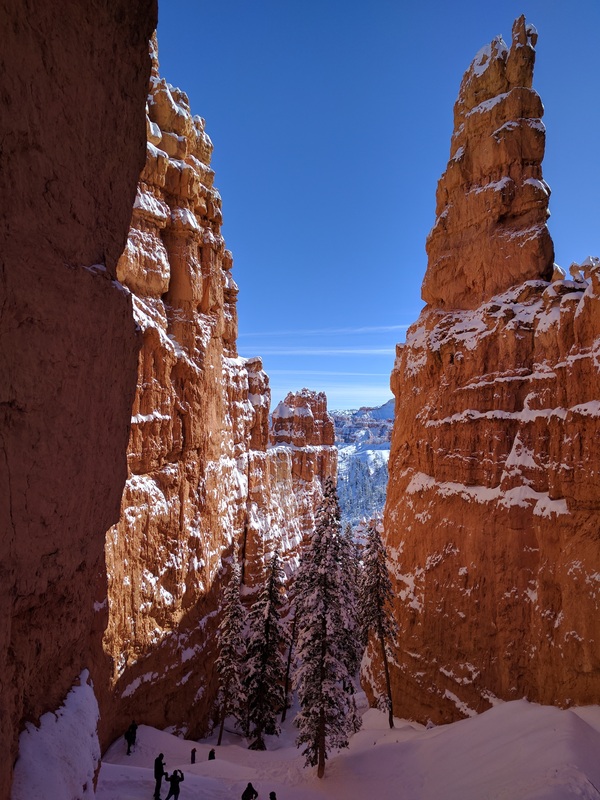 Bryce Canyon is one of the smallest parks in the country but certainly one of the best. Highly recommend people to visit in winter and immerse in the silent beauty of this place.